UPDATED – November 1, 2017: So retirement has arrived, and all the wonderful benefits of retirement are yours to enjoy and appreciate, right? Well, it may be important to take a moment and make sure that you are ready for retirement. Ready for retirement? That may sound odd initially, but just taking a moment to consider what that means should quickly bring some clarity and reason to this consideration. Any endeavor of any consequence will most likely require some planning and considerations. Retirement isn’t any different. In fact it may be even more true of retirement as it is a lifestyle change impacting time, income and even health. There are some tips that can help make this time, these “golden years” just that. Keep the “golden years” what this namesake proclaims by saving some of that gold. Unless you’re independently wealthy, then this may be one of the biggest changes at this time in your life. Look at your budget and make a plan. This will remove stress and also give you a clear picture of what you have to work with for those retirement plans. Chances are the kids have long since left the nest. That all the room and yard space needed for children, hosting those youthful events (for the kids and yourself), just isn’t necessary anymore. So no sense in paying for what you don’t need, and this will help loosen that aforementioned budget too. Another benefit of downsizing your home and getting into something smaller is the time saved. Basic upkeep of a larger residence can require considerably more time and money. It may be advisable to continue working in some capacity. Aside from the obvious advantage of an extra income, this can add structure to your new schedule. 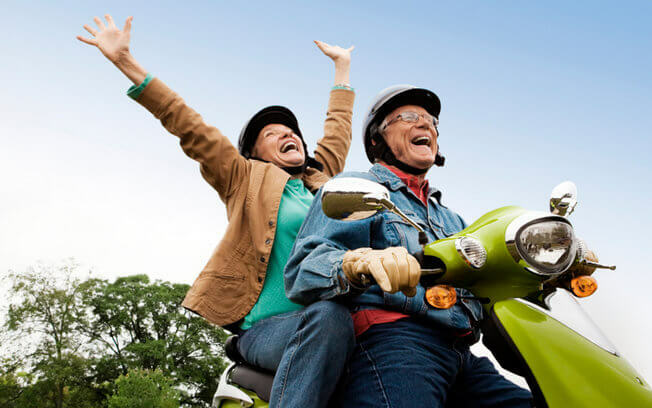 For some of those more pricey retirement plans, using some extra income to put toward that trip or cruise just can’t hurt. Yes, this was a very popular movie. That doesn’t detract from the fact that there were some very real truths included in this film. Make your own bucket list, all the things that you just couldn’t do years before because of time, money, family and so on may now avail themselves as viable realities. No, this doesn’t sound the fun and enjoyment of the “golden years”, but if you aren’t healthy enough or staying healthy enough to enjoy this period of your life then the rest of it becomes a moot point. Of course this doesn’t mean that being in condition to run a triathlon or enter a fitness competition is necessary (unless it is on your bucket list! ), but with more free time and more downtime extra weight and unhealthy habits can easily sneak up on you. This is tied to exercise, but is more about the schedule you keep. Find activities and or events to fill your new schedule. This will afford opportunities to stay involved with others, your community and allow that variety that is so important to keep life interesting and moving. This can be an excellent way to check the boxes for staying active and exercise. There are always those things that have held our interest, stirred our passions that we just weren’t permitted the time or luxury of doing. That love of woodworking, writing or whatever it has been that you have wanted to explore is now a real option. Have you ever wanted to take a class in psychology, computers or anything else? Well this is a two-fold benefit, in addition to learning about a subject that has always been a curiosity for you there is the very valuable bonus of keeping your mind sharp. There was an old commercial that was speaking toward children that declared, “the mind is a muscle, work it”. This is no less true now than it was in our childhood and youth. With the right perspective, this could almost be considered an obligation. For all the good that volunteer organizations have given our communities which in one way or another was a benefit to you it just seems right to give back. This is also a chance to do something that counts and that you can feel good about. Punching the clock, getting the children to class, practice and so on, or any of the countless deadlines of our once hectic and crazy lives has now calmed. Be mindful that you are learning a new lifestyle, so relax and take your time adjusting and remember that there is no pressure to get this or that done by 3 p.m. You have earned the right to rest. You may have noticed that there are a few things on this list that sound like life as usual, not the easy, laid back do whatever you want to that is often associated with retirement. This is true to some degree, and just like life before retirement balance is the key. Enjoy these years, and rest but stay active so you can stay healthy. Go back to work but rekindle those hobbies that have for too long been dormant. Balancing the rest, activity, plans and everything else that comes with retirement will be important. Society, your family and the community that you live in appreciate the example you’ve set, and you should be proud of getting to this place in your life. So make the most of it, and find that gold in this new life that awaits you.